Clark's Bridge, Lincoln, N.h. by Steve Gass - 10" x 8"
Clark's Bridge, Lincoln, N.h. poster by Steve Gass. Our posters are produced on acid-free papers using archival inks to guarantee that they last a lifetime without fading or loss of color. All posters include a 1" white border around the image to allow for future framing and matting, if desired. Elizabeth, thanks very much for visiting my page. 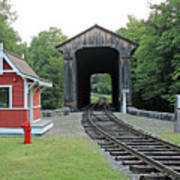 Clark's Bridge, a fixture at Clark's Trading Post in Lincoln, New Hampshire. The bridge originally spanned the Winooski River in Barre, Vermont. 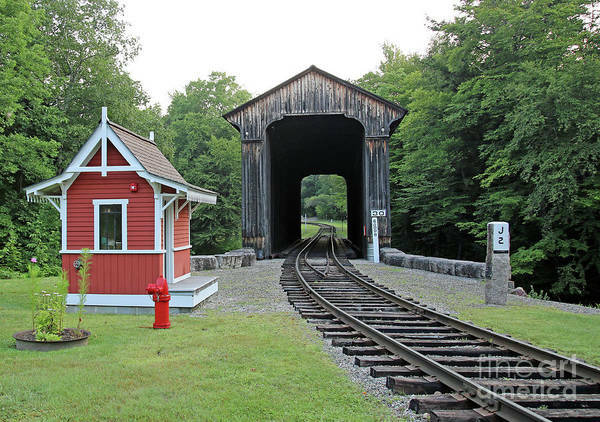 It was moved and relocated to it's present site in 1960. Clark's is a popular tourist spot with trained bear shows and a popular train ride, which, of course goes through this beautiful bridge. 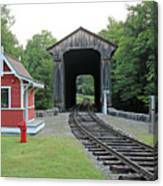 This is the last Howe Truss covered bridge still in use today.